In partnership with The Lighthouse, Scotland’s Centre for Design and Architecture, three Starter for 6 businesses, Jill Boulton (Visorcat®), Belinda Goldsmith and Christine Manson (FitSip®) and Jamie Bruski Tetsill (Shapes of Things) will be exhibiting their products and services, providing an insight into the variety of businesses that participate in the programme. The lovely folks over at Creative Edinburgh are putting on a really interesting day based around multi-platform content and collaborations on 21st March. From their website: “The digital landscape is fast evolving, driven by the proliferation in devices & platforms through which content is created and shared. This is increasingly having greater influence on how creative businesses & practitioners operate. Woman in tech? Or know one? We’re running a dinner and networking event on 19th Feb at St Andrews Square, Edinburgh from 6.30pm. The event is organised by BCS (British Computer Society) Womens sub group in Scotland. Being held in BrewLab, this meetup combines the best of creative and tech together. It’s free, no sign up required. Go check it out! Jack Griffin, a marketing guru that was part of the original 1984 Apple Mac launch team, is speaking at the first ever GlowJam on 1st Nov at 7pm. GlowJams are a series of events ran by Swiss based Glowfori; locally, it is being organised by Creative Edinburgh (the team that was behind the logistics for the Turing Festival). More details below. We’ve been given 5 complementary tickets to the event, so please comment here if you would like a ticket to the event. Startup success story Skyscanner, has come on board as sponsor for SW Edinburgh! The Edinburgh based, flight search company started up officially back in 2001, and has grown to become the number one flight search engine in Europe. In 2011 they opened a Singapore office to grow in the Asia-Pacific market and they offer flight searches in more than 27 different languages. You can read their story here. Outside of the startup sphere, another industry facing similar issues/problems around getting traction and growth is the indie games industry. The Glasgow Mobile Games Breakfast is a monthly meetup for people in companies being hosted at the WeeWorld offices in Glasgow. It aims to tackle issues such as marketing, growth, analytics for anyone working in Mobile and Gaming (pref both). 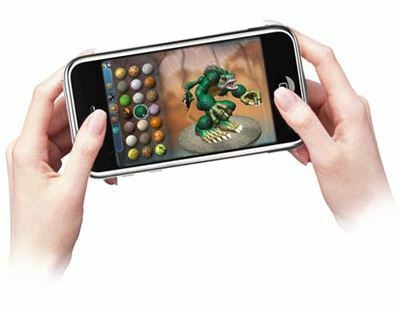 The next Glasgow Mobile Games Breakfast on 19th Oct at the WeeWorld offices at 19 Blythswood Square at 8.30am (yes, I know, early doors). Entry/RSVP to Celia Francis at celia at weeworld.com.